If like us, you often sit and wonder who, where and how your favourite mascara or ‘on trend’ nail polish was made and end up feeling a little guilty about having absolutely no idea then Bonbon balm is the product for you. This is a lip balm with a conscience, lovingly hand made using fairtrade and organic ingredients wherever possible, founded by a plant scientist who really believes in the natural ingredients she uses and their ability to sooth and heal the skin. The balms are available in a deliciously lip smacking collection including chocolate, original, mandarin, strawberry, mint tingle, mojito, pina colada and caramel. Beauty Resource are currently crazy over the strawberry and mojito flavours. Strawberry for a year round handbag staple and mojito for a zingy summer pick-me-up scent. After just a week of use there were soft and healthy pouts a plenty. Each balm is individually available at a cost of £5 but from summer 2010 lip balm lovers will be able to sign up to Club Bonbon, a service which delivers members a limited edition lip balm at the start of each month. Not only would this be a delightful treat for yourself, but we think it would also make fantastic gift for friends or family. If your eyebrows are raised over the £5 price tag and you are sceptical about trading in the vaseline or current staple then we assure you it is money well spent. The quality of the ingredients alone means you will have to use far less of this product than many others, a little really does go a long way. One of the things that makes Bonbon balm stand out from the crowd is the additional touch of personal service. 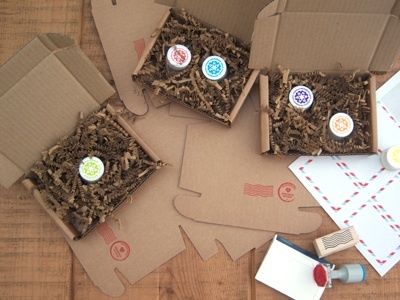 From the quaint little glass pots and colourful stickers to the lovely delivery box, to the business card with every order and finally to founder Sally genuinely asking for feedback and comments so she can improve her products and services. All of this is a rarity in todays beauty market and definitely a good one.